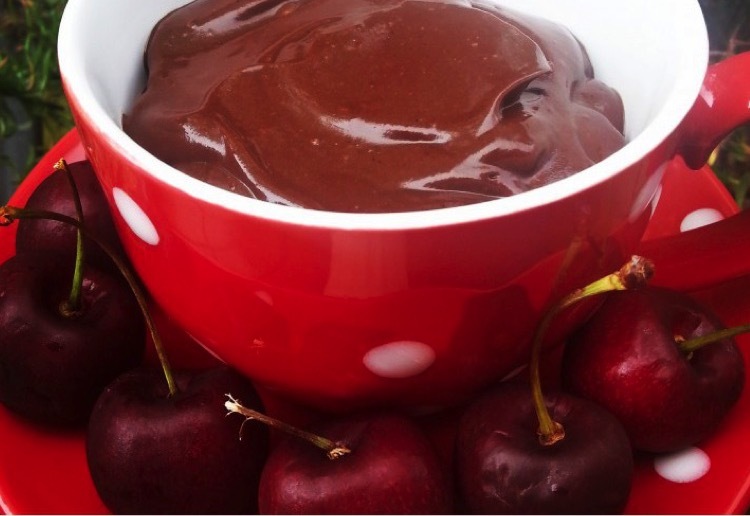 The mousse is rich and decadent and you would never believe it is made from avocado’s. You can serve it with your favourite fruit and dip the fruit into the mousse.The recipe makes enough for 4 people as a small snack. I like to serve mine in a teacup for something different. Place the avocado, maple syrup, vanilla and salt into a food processor and blend well. Sift in the cocoa powder. Add in half of almond milk and process until smooth, about 30 seconds, stopping once to scrape the sides of the bowl with a spatula. Keep adding in more of the almond milk until you have a thick rich creamy silky consistency. I love chocolate and I love avocado. So interested to see how they blend together. Such an interesting recipe – could something else be substituted for the chocolate/cocoa powder? I must try to find something. I will give this a miss. I loooooove avocados and looooove chocolate. Wow, this sounds interesting and I’m going to give this a try. I’d love to try this with my hubby and kids. None of them would normally eat an avocado! Wow I would have never thought of that, I love mousse but never had avocado with it so something worth trying. Ive never heard of an avacado mousse but it sounds like it might be nice cant imagine why not. Can’t stand avocado I think it tastes like soap but maybe can substitute will think about it. Thankyou very interesting recipe. Not sure about adding avocado but I guess worth a try. Thanks. I’ve still not tried the avocado in a chocolate mousse. i will get around to it one day!